The Latin American Research Review (LARR) publishes original research and review essays on Latin America, the Caribbean, and Latina/Latino studies. LARR covers the social sciences and the humanities, including the fields of anthropology, economics, history, literature and cultural studies, political science, and sociology. The journal reviews and publishes papers in English, Spanish, and Portuguese. All papers, except for book and documentary review essays, are subject to double-blind peer review. LARR, the academic journal of the Latin American Studies Association, has been in continuous publication since 1965. Back content for this journal from 1965 to 2012 can be found on JSTOR. Content from 2003 to 2016 is available at Project Muse. Back content is also available on the LASA website to LASA members and by open access to residents of Latin America. •	Anthropology: race, social movements, development, social projects, migration, education, economy, labor, state reforms, public policy, poverty, cultural politics, cultural criticism. We value research articles with innovative applications of ethnography and conceptual breadth. •	Economics: development, international trade and finance, public finance, labor, institutions, human and social capital, natural resources, biodiversity, measures of well-being, poverty, inequality, productivity, mobility, discrimination, and cooperation. We value innovative theoretical and empirical analyses with clear policy implications. •	History: all topics on colonial and modern Latin America, including its diaspora. We value deeply researched articles accessible to our wide readership as well as essays based on secondary sources that rethink key historical processes, events, or issues. •	Literature and cultural studies: literary analysis and theory; cultural criticism; formal and discursive analysis of texts from all periods; visual and sonic representations; artistic, popular and media representation; studies of class, race, gender, sexuality, trans studies; subaltern, colonial, postcolonial, and decolonial approaches. •	Politics and international relations: institutions, political behavior, democratization, social and public policy, political economy, domestic and international security, regional integration, and foreign policy. We value experimental, statistical, and small-N research designs. •	Sociology: social institutions and processes, social movements and collective action, social inequalities and social stratification, globalization, historical sociology, sociology of gender. A PDF version of these guidelines is available to download here. For issues not covered in this guide, follow the style guidelines of the Chicago Manual of Style, 16th edition. Authors are invited to submit manuscripts that fall within the focus of the journal. Please follow the guidelines below, and contact the managing editor if you have any questions. Submissions should be made electronically through this website. Manuscripts eligible for submission must be unpublished and not under consideration for publication elsewhere. Authors are responsible for obtaining permission to reproduce any material (including illustrations) for which they do not hold copyright. Research articles report original research relating to Latin America which will be of interest to a multidisciplinary audience and accessible to a general academic readership. Articles must not exceed 10,000 words including notes and references. LARR publishes research articles in the humanities and social sciences, including the following fields: anthropology, economics, history, literature and cultural studies, politics and international relations, and sociology. Research notes are brief reports (of 7,000 words or less) introducing primary sources or materials of relevance to the broader academic community. Research notes may introduce historical archives, new data sets in the social sciences, field reports in anthropology, or novel sources in the digital humanities. Resources discussed in research notes should be available to other researchers in Latin American studies. Book and documentary review essays, a signature feature of the journal, are analytic essays discussing several works. Reviews are commissioned by the editors. Authors may indicate interest or suggest topics or groups of books or films for review by contacting Fabrice Lehoucq (books) or Claudia Ferman (documentaries). Dossiers are collections of three to five articles dealing with a common subject. The total extension of a dossier (including the introduction) is about 40,000 words. Dossiers are initiated by LARR’s editorial team and coordinated by associate editors. Authors interested in proposing a dossier topic should contact the associate editor in the relevant field. All papers in a dossier are subject to the external review process. Latin American Research Review’s policy is to perform double-blind reviews, in which the names of the author(s) and reviewers are not known to one another. In preparing your electronic submission for external review, we ask you to delete any inadvertent self-identification, e.g., “as this author has described elsewhere [cite]”; avoid multiple self-citations or citation of your unpublished materials (dissertations, etc. ); delete acknowledgments of colleagues, institutional affiliations, or funding sources that could make identification of authorship likely; delete any reference to previous presentations of the paper in earlier draft form (at conferences or public seminars, etc.). Submit your article in document format, such as Microsoft Word, RTF, or OpenOffice. Submit a separate title page including the title, full names of authors and their affiliations (institution and country are required), and email address of corresponding author. Preface the text of research articles with an abstract not longer than 250 words describing the main arguments and conclusion of the article. A list of up to six keywords may be placed below the abstract (optional). Up to three level headings may be used and must be clearly identifiable using different font sizes, bold or italics. Please do not number headings or subheadings. We suggest using Headings 1, 2, and 3 in Microsoft Word. If any of the authors have competing interests then these must be declared. A short paragraph should be placed before the references. Guidelines for competing interests can be found here. Research involving human subjects, human material, or human data must have been performed in accordance with the Declaration of Helsinki. Where applicable, the studies must have been approved by an appropriate ethics committee and the authors should include a statement within the article text detailing this approval, including the name of the ethics committee and reference number of the approval. The identity of the research subject should be anonymized whenever possible. For research involving human subjects, informed consent to participate in the study must be obtained from participants (or their legal guardian). Use the automatic endnote function in your word processing program. Notes should be used only where crucial clarifying information needs to be conveyed. Avoid using notes for purposes of referencing, though notes may contain parenthetical citations if needed. Citations of interviews and archival sources such as manuscript collections are usually placed in notes. Note reference numbers follow closing sentence punctuation. Use headline-style capitalization: capitalize the first and last word and all nouns, pronouns, verbs, adjectives, adverbs, and some conjunctions. Use lowercase for all articles, prepositions, and conjunctions and, but, for, or, and nor. Use sentence-style capitalization: Capitalize the first word in a title, the first word in a subtitle, and any proper names. First-level headings in the text should follow headline style. For lower-level subheadings, use sentence style. When referring to proper nouns and normal institutional titles, the official, original spelling must be used: World Health Organization, not World Health Organisation. Double-space all text and use a 12-point font, preferably Times Roman. Phrases, sentences, and proper names or names of organizations in any language should appear in roman font, not italic. Use double quotation marks for quotations except for quotes within quotes, in which case single quotation marks are used. Place quotations that are longer than 80 words in length in an indented paragraph separate from the main text. Roman, not italic font must be used for all quotations. The source of the quotation must be clearly cited, including page number where applicable. Spell out the first instance of all acronyms, e.g., Inter-American Development Bank (IDB). Commonly used Latin abbreviations, such as e.g. and i.e., are usually restricted to parenthetical text and notes and are set in roman type, not italics. Spell out cardinal and ordinal whole numbers from one to ninety‐nine (and such numbers followed by hundred and thousand), any number at the beginning of a sentence, and common fractions. Whole numbers used in combination with million, billion, and so forth usually follow the general rule. •	One hundred and eighty-seven students graduated. Dates appear in the following form: August 11, 2014; August 2014. Centuries are spelled out: e.g., the twenty-first century. Inclusive page numbers are given in full: 3–11, 74–75, 100–103, 104–109, 112–115, 414–532, 505–516, 600–612, 1499–1500. Symbols are permitted within the main text and data sets as long as they are commonly in use or are defined or explained at first use. Formulas must be proofed carefully by the author. Editors will not edit formulas. If special software has been used to create formulas, they will be published as they appear in the manuscript. Authors presenting quantitative results are encouraged to upload replication data sets and replication code as supplementary files. Replication data sets must allow readers to reproduce all results presented in the article. Please upload your replication data set in a standard format (Excel, SAS, SPSS, Stata, R). Ancillary replication files must provide codebook information and estimation procedures to conduct the analysis. Figures, including graphs and diagrams, must be professionally and clearly presented. If a figure is not easy to understand or does not appear to be of a suitable quality, the editor may ask the author to revise or omit it. All figures must be cited within the main text, in consecutive order using Arabic numerals (e.g., figure 1, figure 2, etc.). Each figure must have an accompanying descriptive main title. This should clearly and concisely summarize the content and/or use of the figure image. A short additional figure legend is optional to offer a further description. •	Figure 1: 1685 map of London. •	Figure 1: 1685 map of London. Note the addition of St Paul’s Cathedral, absent from earlier maps. Figure titles and legends should be placed within the text document, either after the paragraph of their first citation, or as a list after the references. The source of the image should be included, along with any relevant copyright information and a statement of authorization (if needed). •	Figure 1: Firemen try to free workers buried under piles of concrete and metal girders. Photo: Claude-Michel Masson. Reproduced with permission of the photographer. NOTE: All figures must be uploaded separately as supplementary files during the submission process, if possible in color and at a resolution of at least 300 dpi. Each file should not be more than 20 MB. Standard formats accepted are JPG, TIFF, GIF, PNG, EPS. For line drawings, please provide the original vector file (e.g., .ai or .eps). All tables must be cited within the main text, numbered with Arabic numerals in consecutive order (e.g., table 1, table 2, etc.). Each table must have an accompanying descriptive title. Titles should be as succinct as possible and should not suggest any interpretation of the data. •	Multiple parts (e.g. table 1a and table 1b). These should either be merged into one table or separated into table 1 and table 2. Use in‐text citations keyed to a reference list. Each textual reference should correspond to a complete reference in the reference list. In-text citations include the author’s last name (with first initial if ambiguous), year of publication, and pages referred to. For works by more than three authors, only the surname of the first author is used, followed by “et al.” “Cf.” is used when a comparison of sources is intended. Op. cit., loc. cit., infra, supra, and the like are not used. If the author is already mentioned in the main text then the year should follow the name within parentheses. If the author's name is not mentioned in the main text then the surname and year should be inserted in parentheses after the relevant text. Multiple citations by different authors should be separated by semicolon. •	The statistics clearly show this to be untrue (Brown 2010; Jones 2013). If specific pages are being cited then the page number should follow the year, after a comma. Each textual reference should correspond to a complete reference in the reference list. Entries in the reference list are arranged alphabetically by author, then chronologically from earliest to most recent. Arrange multiple works by the same author in the same year alphabetically by title and distinguish them by a, b, c, etc. placed after the year. For online sources, an access date is not required unless no publication date is provided. Citations of unpublished sources, such as interviews, and archival sources, such as manuscript collections, are usually placed in notes. This journal follows the style guidelines of the Chicago Manual of Style, 16th ed. See below for examples of formatted references. •	NOTE: If multiple works by the same author are being listed, please repeat the author’s name for each entry, rather than using a long dash. 2. Any third-party-owned materials used have been identified with appropriate credit lines, and permission obtained from the copyright holder for all formats of the journal. 3. All authors have given permission to be listed on the submitted paper and satisfy the authorship guidelines. 4. The submission file is in OpenOffice, Microsoft Word, RTF, or WordPerfect document file format. 5. All DOIs for the references have been provided, when available. 6. Tables and figures are all cited in the text. Tables are included within the text document, whilst figure files are uploaded as supplementary files. 7. Figures/images have a resolution of at least 150dpi (300dpi or above preferred). Each file is no more than 20MB per file. The files are in one of the following formats: JPG, TIFF, GIF, PNG, EPS (to maximise quality, the original source file is preferred). 8. The text adheres to the stylistic and bibliographic requirements outlined in the Author Guidelines, which is found in About the Journal. Every effort has been made to ensure that author names are removed from the manuscript (following the instructions to ensure blind peer review). a. Authors retain copyright and grant the journal right of first publication with the work simultaneously licensed under a Creative Commons Attribution License that allows others to share the work with an acknowledgement of the work's authorship and initial publication in this journal. b. Authors are able to enter into separate, additional contractual arrangements for the non-exclusive distribution of the journal's published version of the work (e.g., post it to an institutional repository or publish it in a book), with an acknowledgement of its initial publication in this journal. c.	Authors are permitted and encouraged to post their work online (e.g., in institutional repositories or on their website) prior to and during the submission process, as it can lead to productive exchanges, as well as earlier and greater citation of published work (See The Effect of Open Access). A Revista de Pesquisa Latino-Americana (RPLA) publica pesquisas originais e resenhas sobre a América Latina, o Caribe e estudos latinos. A RPLA abrange as ciências sociais e humanidades, incluindo os campos da antropologia, economia, história, literatura e estudos culturais, ciências políticas e sociologia. A revista avalia e publica artigos em inglês, espanhol e português. Todos os artigos, com a exceção das resenhas de livros e documentários, são encaminhados para dupla revisão anônima por pares. A RPLA, publicação acadêmica da Associação de Estudos Latino-Americanos, vem sendo continuamente publicada desde 1965. O conteúdo antigo desta publicação, de 1965 a 2012, pode ser consultado na base JSTOR. O conteúdo de 2003 a 2016 encontra-se disponível no Project Muse. O conteúdo antigo também está disponível para membros no site da LASA e pode ser acessado livremente pelos residentes da América Latina. A Revista de Pesquisa Latino-Americana publica pesquisas originais sobre a América Latina, o Caribe e estudos latinos que sejam capazes de confrontar esses campos criticamente e redefini-los. A RPLA busca pesquisas que desenvolvam teorias e abordagens inovadoras, tenham implicações substantivas para a região, dialoguem com conhecimentos interdisciplinares e multidisciplinares, e sejam acessíveis ao público acadêmico em geral. •	Antropologia: raça, movimentos sociais, desenvolvimento, projetos sociais, migração, educação, economia, trabalho, reformas de estado, políticas públicas, pobreza, política cultural, crítica cultural. Valorizamos artigos de pesquisa com aplicações inovadoras de etnografia e abrangência conceitual. •	Economia: desenvolvimento, comércio e finanças internacionais, finanças públicas, trabalho, instituições, capital social e humano, recursos naturais, biodiversidade, medidas de bem-estar, pobreza, desigualdade, produtividade, mobilidade, discriminação e cooperação. Valorizamos análises teóricas e empíricas inovadoras com implicações claras do ponto de vista de políticas públicas. •	História: todos os tópicos relativos à América Latina colonial e moderna, incluindo a sua diáspora. Valorizamos artigos pesquisados com profundidade que sejam acessíveis ao nosso público amplo bem como ensaios baseados em fontes secundárias que repensem processos, eventos e problemas históricos importantes. •	Literatura e estudos culturais: análise e teoria literária; crítica cultural; análise formal e discursiva de textos de todos os períodos; representações visuais e sonoras; representação artística, popular e midiática; estudos de classe, raça, gênero, sexualidade e estudos trans; abordagens subalternas, coloniais, pós-coloniais e decoloniais. •	Política e relações internacionais: instituições, comportamento político, democratização, políticas públicas e sociais, economia política, segurança doméstica e internacional, integração regional e política externa. Valorizamos projetos de pesquisa experimentais, estatísticos e de pequenas amostras. •	Sociologia: instituições e processos sociais, movimentos sociais e ação coletiva, desigualdades sociais e estratificação social, globalização, sociologia histórica, sociologia de gênero. A RPLA é publicada quatro vezes ao ano nos meses de março, junho, setembro e dezembro. Esta publicação oferece acesso livre imediato ao seu conteúdo com base no princípio de que a pesquisa livremente disponível ao público promove uma maior troca global de ideias. Os autores de artigos publicados permanecem detentores dos direitos de cópia e concedem a terceiros o direito de usar, reproduzir e compartilhar o artigo de acordo com o contrato de licença Creative Commons. A editora da revista, Ubiquity Press, preocupa-se em tornar o conteúdo detectável e acessível por meio dos serviços de indexação. O conteúdo também é arquivado ao redor do mundo de modo a garantir a sua disponibilidade no longo prazo. CrossRef, JISC KB+, SHERPA RoMEO, Directory of Open Access Journals (DOAJ) e Google Scholar. Além disso, todas as publicações estão disponíveis para extração por meio do OAI-PMH. De modo a assegurar a permanência de todas as publicações, esta revista também utiliza os sistemas de arquivamento CLOCKSS e LOCKSS para criar arquivos permanentes com os propósitos de preservação e restauração. Se a revista não estiver indexada pelo seu serviço de preferência, por favor, informe-nos enviando um e-mail para support@ubiquitypress.com ou então faça uma solicitação de indexação diretamente ao serviço. Todas as contribuições são inicialmente avaliadas por um editor, que decide se o artigo enquadra-se nos campos de interesse da revista e se é adequado para a revisão por pares. As contribuições indicadas para revisão são destinadas a dois ou três especialistas independentes, que avaliam o artigo em termos de clareza, consistência metodológica e contribuição à literatura existente sobre o assunto. O processo de revisão por pares é duplamente anônimo, o que significa que autores e revisores permanecem anônimos ao longo de todo o processo de revisão. Pede-se que os revisores enviem relatórios no intervalo de aproximadamente quatro semanas e que forneçam opiniões formativas, ainda que um artigo não seja considerado adequado para publicação na revista. Com base nos relatórios dos revisores, um editor associado recomendará rejeição, revisões ou aceitação. A responsabilidade editorial geral recai sobre o editor-chefe da revista, que é auxiliado por um Conselho Editorial internacional de especialistas. Uma versão em PDF destas orientações pode ser baixada aqui. Para assuntos que não são tratados neste guia, favor seguir as orientações de estilo do Chicago Manual of Style, 16a edição. Os autores são convidados a enviar manuscritos que se enquadrem no enfoque da publicação. Por favor, obedeça às orientações abaixo e entre em contato com o editor executivo caso tenha alguma dúvida. As contribuições devem ser enviadas por via eletrônica através deste site. Os manuscritos aptos para envio não devem ter sido publicados nem estar sendo examinados para publicação em outro lugar. Os autores são responsáveis por obter permissões para reproduzir quaisquer materiais (incluindo ilustrações) pelos quais não detenham direitos de cópia. Artigos de pesquisa apresentam pesquisas originais, relacionadas com a América Latina, que interessem a um público multidisciplinar e sejam acessíveis aos leitores acadêmicos em geral. Os artigos não devem ultrapassar o limite de 10.000 palavras incluindo notas e referências. A RPLA publica artigos de pesquisa nos domínios das ciências sociais e humanidades, incluindo os seguintes campos: antropologia, economia, história, literatura e estudos culturais, política e relações internacionais, sociologia. Notas de pesquisa são relatos breves (de 7.000 palavras ou menos) que introduzem fontes primárias ou materiais de relevância para a comunidade acadêmica mais ampla. Notas de pesquisa podem introduzir arquivos históricos, novos conjuntos de dados nas ciências sociais, relatos de campo em antropologia ou fontes novas nas humanidades digitais. Os materiais discutidos em notas de pesquisa devem estar disponíveis a outros pesquisadores de estudos latino-americanos. Resenhas de livros e documentários, uma opção típica desta publicação, são ensaios analíticos que discutem diversos tipos de trabalhos. As resenhas são encomendadas pelos editores. Os autores podem indicar interesse ou sugerir tópicos e grupos de livros ou filmes para revisão entrando em contato com Fabrice Lehoucq (livros) ou Claudia Ferman (documentários). Dossiês são coleções de três a cinco artigos que tratem de um tema comum. A extensão total de um dossiê (incluindo a introdução) é de aproximadamente 40.000 palavras. Os dossiês são iniciados pela equipe editorial da RPLA e coordenados por editores associados. Os autores interessados em propor um tópico para dossiê devem entrar em contato com o editor associado do campo relevante. Todos os artigos de um dossiê são submetidos ao processo de revisão externa. A política da Revista de Pesquisa Latino-Americana é realizar revisões duplamente anônimas, em que o(s) autor(es) e revisores não saibam os nomes uns dos outros. 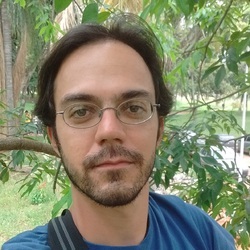 Ao preparar o seu envio eletrônico para revisão externa, pedimos que suprima qualquer autoidentificação inadvertida, e.g., “como descrito por este autor em outra oportunidade [referência]”; evite autocitações múltiplas ou a citação de seus materiais não publicados (dissertações, etc. ); suprima agradecimentos a colegas, filiações institucionais ou fontes de financiamento que possam facilitar identificação de autoria; suprima quaisquer referências a apresentações anteriores de versões iniciais do artigo (em conferências ou seminários públicos, etc.). Envie o seu artigo em formato de documento, tal como Microsoft Word, RTF, ou OpenOffice. Envie uma folha de rosto em separado incluindo o título, os nomes completos dos autores e suas filiações (instituição e país são necessários) bem como o endereço de e-mail do autor correspondente. Prefacie o texto dos artigos de pesquisa com um resumo de não mais do que 250 palavras descrevendo os argumentos principais e a conclusão do artigo. Uma lista contendo até seis palavras-chave pode ser inserida abaixo do resumo (opcional). O resumo e as palavras-chave também devem ser acrescentados aos metadados quando for feito o envio eletrônico inicial. Até três níveis de títulos podem ser usados e devem ser claramente identificados com tamanhos de fonte diferentes, negrito ou itálico. Favor não numerar títulos e subtítulos. Sugerimos utilizar Títulos 1, 2 e 3 no Microsoft Word. Quaisquer agradecimentos devem ser intitulados e escritos em um parágrafo separado, inserido após o texto principal mas antes da lista de referências. Os interesses conflitantes de qualquer um dos autores devem ser declarados. Um parágrafo curto deve ser inserido antes das referências. As orientações relativas a conflito de interesses podem ser consultadas aqui. Pesquisas que envolvam seres humanos, materiais humanos ou dados relativos a seres humanos devem ter sido realizadas de acordo com a Declaração de Helsinki. Quando for o caso, os estudos devem ter sido aprovados por um comitê de ética apropriado e os autores devem apresentar uma declaração dentro do texto do artigo detalhando essa aprovação, incluindo o nome do comitê de ética e o número de referência da aprovação. A identidade do sujeito de pesquisa deve ser mantida anônima sempre que possível. Para a pesquisa com indivíduos humanos, deve ser obtido dos participantes (ou de seus responsáveis legais) o consentimento esclarecido em participar do estudo. Todas as referências citadas no material enviado devem ser listadas ao fim do arquivo principal de texto. Use a função automática de notas de rodapé em seu processador de texto. As notas devem ser utilizadas somente quando for preciso fornecer informações explicativas essenciais. Evite usar as notas para efeitos de referenciamento, embora elas possam conter citações em parênteses caso necessário. As citações de entrevistas e fontes arquivísticas tais como coleções de manuscritos são normalmente inseridas em notas. Os números de referência das citações vêm depois da pontuação final das frases. Use maiúsculas como em manchetes: escreva com letra maiúscula a primeira e última palavra bem como todos os substantivos, pronomes, verbos, adjetivos, advérbios e algumas conjunções. Use minúsculas para todos os artigos, preposições e para as conjunções e, mas, para, ou e nem. Use maiúsculas como nas frases: escreva com letra maiúscula a primeira palavra de um título, a primeira palavra de um subtítulo e todos os nomes próprios. O primeiro nível de títulos dentro do texto deve seguir o estilo de manchete. Para os subtítulos de níveis seguintes, use o estilo de frases. Quando forem feitas referências a nomes próprios e designações institucionais normais, deve ser usada a grafia oficial e original: World Health Organization, ao invés de World Health Organisation. Utilize espaçamento duplo em todo o texto e uma fonte de tamanho 12, de preferência Times Roman. Expressões, frases e nomes próprios ou nomes de organizações em qualquer idioma devem ser escritos com fonte romana e não em itálico. Use bullet points para identificar uma lista sem hierarquia ou ordem de valores. Caso a lista indique uma sequência específica, ela deve ser numerada. As listas devem ser usadas com moderação de modo a maximizar o seu impacto. Use aspas duplas para fazer citações, a não ser no caso de citações dentro de citações, em que aspas simples devem ser usadas. Insira citações com mais de 80 palavras em um parágrafo com recuo separado do texto principal. Uma fonte romana, e não itálica, deve ser usada em todas as citações. A fonte da citação deve ser claramente mencionada, incluindo o número da página quando for o caso. Esclareça a primeira ocorrência de todos os acrônimos, e.g., Banco Interamericano de Desenvolvimento (BID). Abreviações latinas comumente utilizadas, como e.g. e i.e., são normalmente reservadas para texto em parênteses e notas e são escritas com tipo romano e não itálico. Escreva por extenso números inteiros cardinais e ordinais de um a noventa e nove (e esses mesmos números quando seguidos por centena ou milhar), qualquer número que apareça no começo de uma frase e frações ordinárias. Números inteiros usados em combinação com milhão, bilhão e assim por diante normalmente seguem a regra geral. •	Cento e oitenta e sete alunos se formaram. As datas aparecem da seguinte forma: 11 de agosto de 2014; agosto de 2014. Séculos são escritos por extenso: e.g., o século vinte e um. Números de página inclusivos são escritos na íntegra: 3–11, 74–75, 100–103, 104–109, 112–115, 414–532, 505–516, 600–612, 1499–1500. É permitido inserir símbolos no texto principal e nos conjuntos de dados, contanto que eles sejam de uso corrente ou sejam definidos ou explicados na primeira ocorrência. Fórmulas devem ser cuidadosamente demonstradas pelo autor. Os editores não editarão fórmulas. Caso algum programa especial tenha sido usado para criar fórmulas, elas serão publicadas tal como aparecem no manuscrito. Os autores que apresentarem resultados quantitativos são encorajados a enviar como arquivos suplementares os conjuntos de dados e códigos de replicação. Os conjuntos de dados de replicação devem permitir que os leitores reproduzam todos os resultados apresentados no artigo. Favor enviar o seu conjunto de dados de replicação em um formato padrão (Excel, SAS, SPSS, Stata, R). Arquivos auxiliares de replicação devem fornecer informações do livro de código e procedimentos de estimativa que permitam conduzir a análise. Figuras, incluindo gráficos e diagramas, devem ser apresentadas clara e profissionalmente. Caso uma figura não seja de fácil entendimento ou não pareça ser de qualidade adequada, o editor poderá pedir que o autor a modifique ou omita. Todas as figuras devem ser citadas dentro do texto principal, em ordem de aparição, com o auxílio de números arábicos (e.g., figura 1, figura 2, etc.). Toda figura deve vir acompanhada de um título principal de caráter descritivo. Ele deve resumir de maneira clara e concisa o conteúdo e/ou uso da imagem da figura. Uma legenda auxiliar curta pode ser usada para apresentar uma descrição mais detalhada. •	Figura 1: Mapa de Londres em 1685. •	Figura 1: Mapa de Londres em 1685. Note a inclusão da Catedral de St. Paul, ausente de mapas anteriores. Os títulos e legendas das figuras devem ser inseridos dentro do documento de texto, em seguida ao parágrafo onde elas foram citadas pela primeira vez ou como lista após as referências. A fonte da imagem deve ser incluída junto com quaisquer informações relevantes sobre direitos de cópia e uma declaração de autorização (caso necessária). •	Figura 1: Bombeiros tentam soltar trabalhadores enterrados sob pilhas de concreto e vigas metálicas. Foto: Claude-Michel Masson. Reproduzida com a permissão do fotógrafo. Caso o arquivo da figura contenha texto, favor apresentar a fonte como Ariel, Helvetica ou Verdana. Desse modo ela corresponderá à tipografia do texto. NOTA: Todas as figuras devem ser transferidas em separado como arquivos suplementares durante o processo de envio, se possível a cores e com uma resolução mínima de 300 dpi. Nenhum dos arquivos deve exceder o limite de 20 MB. Formatos padrão aceitos são JPG, TIFF, GIF, PNG, EPS. No caso de desenhos, favor fornecer o arquivo vetorial original (e.g., .ai ou .eps). As tabelas devem ser criadas com o auxílio da função de tabelas em um processador de texto, e não como texto tabulado. As tabelas devem ser incluídas no manuscrito. A apresentação final posicionará as tabelas o mais perto possível de sua primeira citação. Todas as tabelas devem ser citadas dentro do texto principal, numeradas com números arábicos em ordem de aparição (e.g., tabela 1, tabela 2, etc.). Todas as tabelas devem vir acompanhadas de um título descritivo. Os títulos devem ser tão sucintos quanto possível e não devem sugerir nenhuma interpretação dos dados. •	Múltiplas partes (e.g. tabela 1a e tabela 1b). Elas devem ser condensadas em uma única tabela ou divididas em tabela 1 e tabela 2. NOTA: Caso hajam mais colunas do que pode caber em uma única página, a tabela será posicionada horizontalmente. Se ainda assim ela não couber na página, será dividida em duas. Use citações no corpo do texto vinculadas a uma lista de referências. A cada referência textual deve corresponder uma referência completa na lista de referências. Citações no corpo do texto devem incluir o sobrenome do autor (com a primeira inicial em caso de ambiguidade), ano de publicação e as páginas referidas. Para trabalhos com mais de três autores, apenas o sobrenome do primeiro autor é utilizado, seguido pela expressão “et al.” “Cf.” é usada quando se pretende fazer uma comparação entre as fontes. Op. cit., loc. cit., infra, supra e similares não são usadas. Caso o autor já tenha sido mencionado no texto principal, o ano em parênteses deve se seguir ao nome. Caso o nome do autor não tenha sido mencionado no texto principal, o sobrenome e ano devem ser inseridos em parênteses após a passagem relevante. Citações múltiplas envolvendo diferentes autores devem ser separadas por ponto e vírgula. •	As estatísticas demonstram claramente que isso não é verdade (Brown 2010; Jones 2013). Caso páginas específicas sejam citadas, o número da página deve se seguir ao ano, separados por vírgula. Favor não incluir URL nas citações em parênteses, mas citar o autor ou título da página e incluir todos os demais detalhes, incluindo a URL, na lista de referências. A cada referência textual deve corresponder uma referência completa na lista de referências. As entradas na lista de referências são organizadas alfabeticamente, por autor, e em seguida cronologicamente, do mais antigo ao mais recente. Disponha em ordem alfabética os diversos trabalhos de um mesmo autor publicados no mesmo ano e os diferencie com a letra a, b, c, etc. após o ano de publicação. Para fontes eletrônicas, não é necessário uma data de acesso, a não ser que nenhuma data de publicação tenha sido fornecida. Citações de fontes não publicadas, como entrevistas, e de fontes arquivísticas, como coleções de manuscritos, são normalmente inseridas nas notas. NOTA: Os DOI devem ser incluídos em todas as entradas de referência, sempre que possível. Esta publicação segue as orientações de estilo do Chicago Manual of Style, 16a ed. Ver abaixo exemplos de referências formatadas. •	NOTA: Caso diversos trabalhos de um mesmo autor forem listados, favor repetir o nome do autor em cada entrada ao invés de usar um traço longo. NOTEA: Favor incluir DOI para todos os artigos de periódico sempre que possível. Como parte do processo de envio, pede-se que os autores verifiquem a conformidade do material enviado com cada um dos seguintes itens. O material pode ser devolvido aos autores que não aderirem a essas diretrizes. 1. O material não foi publicado anteriormente nem está sendo examinado por outra publicação (ou foi apresentada uma explicação em Comentários ao Editor). 2. Quaisquer materiais de terceiros que tenham sido utilizados foram identificados com créditos apropriados e foi obtida permissão para seu uso em todos os formatos da revista junto ao detentor dos direitos de cópia. 3. Todos os autores deram permissão para serem listados no artigo enviado e satisfazem as diretrizes de autoria. 4. O arquivo enviado está no formato de documento do OpenOffice, Microsoft Word, RTF ou WordPerfect. 5. Todos os DOI foram fornecidos para efeito de referência, sempre que possível. 6. Todas as tabelas e figuras são mencionadas no texto. As tabelas foram incluídas no documento de texto, enquanto os arquivos de figuras foram transferidos como arquivos suplementares. 7. Figuras/imagens possuem uma resolução mínima de 150dpi (300dpi ou mais preferencialmente). Nenhum arquivo excede o tamanho de 20MB. Os arquivos se encontram em um dos seguintes formatos: JPG, TIFF, GIF, PNG, EPS (para maximizar a qualidade, o arquivo fonte original é preferível). 8. O texto adere às exigências estilísticas e bibliográficas definidas nas Orientações para Autores, que podem ser encontradas na seção “Sobre a revista”. Todos os esforços foram realizados no sentido de assegurar que os nomes de autores tenham sido suprimidos do manuscrito (de acordo com as instruções que visam salvaguardar o processo de revisão anônima por pares). a.	Os autores detêm direitos de cópia e concedem à revista o direito de primeira publicação, estando o trabalho simultaneamente licenciado nos termos da Creative Commons Attribution License, que permite aos outros compartilhar o trabalho com o reconhecimento de sua autoria e publicação inicial nesta revista. b.	Os autores podem estabelecer relações contratuais adicionais e independentes com vistas à distribuição não exclusiva da versão de seu trabalho publicada nesta revista (e.g., divulgação em um repositório institucional ou publicação em um livro), observando o reconhecimento de sua publicação inicial nesta revista. c.	É permitido e encorajado que os autores divulguem seus trabalhos online (e.g., em repositórios institucionais ou sites pessoais) antes de e durante o processo de envio, uma vez que isso pode acarretar trocas produtivas bem como citações antecipadas e mais numerosas do trabalho publicado (Ver Efeitos do Acesso Livre). Os nomes e endereços de e-mail inseridos no site desta publicação serão usados exclusivamente para os propósitos declarados da mesma e não estarão disponíveis para nenhum outro efeito e nenhuma outra parte. É importante que a lista correta de autores seja associada a um artigo desde o início do processo de envio. Listas de autores com informações incorretas podem resultar em consequências acadêmicas ou financeiras, além de proporcionarem ao leitor informações enganosas sobre onde deve recair a reponsabilidade pelo trabalho publicado. Todos os autores listados em uma contribuição devem ter concedido aprovação prévia para ter o seu nome associado aos arquivos enviados e devem concordar com a publicação. O autor correspondente é imbuído da responsabilidade de certificar que todos os autores se qualificam para a autoria da contribuição e concordaram sobre ela. Eles também são responsáveis por repassar informações editoriais relevantes a todos os coautores durante o processo de revisão. •	assumido responsabilidade por todos os aspectos do trabalho no sentido de garantir que questões relativas ao rigor ou integridade de qualquer parte do trabalho sejam investigadas e resolvidas de maneira apropriada. Aqueles que atenderem a alguns mas não todos os critérios acima devem ser reconhecidos na publicação mas não listados como autores. Exemplos de contribuições que não se qualificam como autorais, mas devem ser reconhecidas, são fontes de financiamento, supervisão de grupos de pesquisa, apoio administrativo, edição de idiomas e correção de texto. Devem ser obtidas permissões escritas daqueles cuja contribuição for reconhecida, uma vez que esse tipo de menção pode ser vista em determinadas situações como um aval ao material publicado. A iHerb, Inc. e subsidiárias (coletivamente, “iHerb”) respeitam as suas preocupações em matéria de privacidade. Esta Política de Privacidade descreve os tipos de informações pessoais que coletamos a respeito dos indivíduos por meio do nosso site e dos nossos aplicativos de celular (coletivamente, os "Serviços"), como podemos usar as informações, com quem podemos compartilhá-las e as escolhas disponíveis a respeito do uso que fazemos delas. A Política de Privacidade também descreve as medidas que tomamos para proteger as informações pessoais, por quanto tempo as retemos e como os indivíduos podem entrar em contato conosco para perguntar a respeito das nossas práticas de privacidade e exercer os seus direitos. informações sobre endereço de IP, dispositivo, sistema operacional e navegador detectadas por nós. Você não é obrigado a fornecer essas informações, mas, caso se recuse a fazê-lo, pode ser que não sejamos capazes de oferecê-lo certos serviços e funcionalidades relacionados. Nós utilizaremos as informações obtidas por meio dos Serviços, conforme necessário, para satisfazer as nossas obrigações contratuais de fornecer os produtos e serviços solicitados, entregar os produtos encomendados (incluindo, entre outros, transporte e liberação alfandegária por meio de provedores de serviço externos relacionados) e para administrar oportunidades de trabalho com a iHerb. informá-lo sobre modificações em nossas políticas. Além disso, usaremos as suas informações de contato para enviá-lo Informativos de Saúde, e-mails, notificações push e notificações dentro dos aplicativos sobre os nossos produtos, serviços, vendas e ofertas especiais caso você se inscreva para recebê-los e não tenha optado pelo cancelamento dos envios. É possível que combinemos as informações obtidas a seu respeito por meio de nossos sites com as informações obtidas por meio dos nossos aplicativos para os propósitos descritos acima. Também é possível que utilizemos as informações obtidas de outras maneiras, sobre as quais lhe daremos notificação específica no momento da coleta ou, de outro modo, com o seu consentimento. Quando você usa nossos serviços ou abre nossos e-mails, pode ser que obtenhamos determinadas informações por meios automatizados, como cookies de navegadores, flash cookies, sinalizadores da web, identificadores de dispositivo, registros de servidor e outras tecnologias. As informações que obtemos deste modo podem incluir endereço de IP do seu dispositivo, nome de domínio, identificadores associados com seus dispositivos, tipo e características do dispositivo e sistema operacional, características do navegador, preferências de linguagem, dados sobre rastro de cliques, interações suas com nossos Serviços (por exemplo, páginas da web que você visita, links em que você clica e recursos que utiliza), páginas que o levaram ou indicaram aos nossos Serviços, datas e horários de acesso aos nossos Serviços e outras informações sobre a sua utilização dos nossos Serviços. Também podemos receber a geolocalização do seu dispositivo e outras informações relacionadas com a sua localização por meio de sinais de GPS, Bluetooth e Wi-Fi, bem como outras tecnologias, para determinados fins listados acima, como, por exemplo, fornecer-lhe os nossos serviços. Pode ser que o seu dispositivo forneça-lhe uma notificação quando os Serviços tentarem coletar a sua geolocalização exata. Um "cookie" é um arquivo de texto que os sites enviam a um computador visitante ou outro dispositivo conectado à internet de modo a identificar inequivocamente o navegador do visitante ou armazenar informações ou configurações no navegador. Um "flash cookie", também conhecido como objeto local compartilhado, funciona como um cookie tradicional de modo a personalizar a experiência de um usuário em sites que utilizam o Adobe Flash Player. Um “sinalizador da web,” também conhecido como Internet tag, pixel tag ou GIF de um pixel, conecta páginas da web a servidores da web e seus respectivos cookies, podendo ser usado para transmitir informações coletadas por meio de cookies de volta a um servidor da web. Nós e os nossos provedores de serviços externos podemos usar sinalizadores em e-mails para nos ajudar a monitorar taxas de resposta, identificar quando os nossos e-mails são acessados ou reencaminhados, além de outros propósitos listados acima. De acordo com os termos exigidos pela legislação vigente, obteremos o seu consentimento antes de inserir cookies ou tecnologias similares no seu computador. Você pode impedir que determinados tipos de cookies sejam baixados em seu computador selecionando as configurações apropriadas em seu navegador. A maioria dos navegadores o informarão sobre como não aceitar novos cookies de navegação, como ser notificado quando você recebe um novo cookie de navegação e como desativar cookies existentes. Você pode descobrir como fazer isso em seu navegador particular clicando em "ajuda" na barra do navegador ou visitando www.allaboutcookies.org. [Flash cookies via de regra não podem ser controlados, excluídos ou desativados por meio das configurações do seu navegador e devem ser gerenciados por meio das configurações do seu Adobe Flash Player. Para gerenciar os flash cookies, usados eventualmente em nosso site, você pode dirigir-se à página de Suporte do Adobe Flash Player disponível aqui. Além disso, as suas configurações de dispositivo móvel podem permitir que você proíba plataformas de aplicativos móveis (como Apple e Google) de compartilhar determinadas informações obtidas por meios automatizados com desenvolvedores e operadores de aplicativos como nós. Os nossos Serviços não estão programados para responder aos sinais de "não rastrear" recebidos dos navegadores. Favor observar que, sem cookies ou outras ferramentas automatizadas que usamos para coletar esse tipo de dado, é possível que você não seja capaz de utilizar todas as funcionalidades dos nossos Serviços. Nós usamos cookies originais para permitir que os serviços funcionem, inclusive para (1) monitorar as preferências que você especifica quando está usando os Serviços, (2) acessar as suas informações quando você se conecta aos Serviços para fornecê-lo conteúdos personalizados e (3) administrar a segurança dos Serviços. Por meio de nossos Serviços, podemos obter informações pessoais sobre as suas atividades online no decorrer do tempo e incluindo aplicativos de terceiros, sites da web, dispositivos e outros serviços online. Em nossos Serviços, utilizamos serviços online de análise de rede, tais como aqueles prestados pelo Google Analytics. Os provedores que administram esses serviços de análise empregam tecnologias automatizadas para coletar dados (como endereços de e-mail, endereços de IP, cookies e outros identificadores de dispositivo) no intuito de avaliar, por exemplo, a utilização dos nossos Serviços e de diagnosticar problemas técnicos. Para obter mais informações sobre o Google Analytics, visite www.google.com/analytics/learn/privacy.html​​. Por meio de nossos Serviços, nós e algumas partes terceiras podemos coletar informações sobre as suas atividades online para fornecer-lhe publicidade sobre produtos e serviços orientados aos seus interesses individuais. É possível que você veja os nossos anúncios em outros sites ou aplicativos móveis uma vez que participamos de redes de publicidade. Essas redes nos permitem direcionar as nossas mensagens aos usuários levando em conta dados demográficos, inferências sobre interesses dos usuários e contextos de navegação. Elas monitoram as atividades online dos usuários no decorrer do tempo, coletando informações por meios automatizados que incluem cookies de navegação, sinalizadores da web, identificadores de dispositivo, registros de servidor e outras tecnologias semelhantes. As redes utilizam essa informação para exibir anúncios que podem ser orientados aos interesses dos indivíduos, para monitorar os navegadores ou dispositivos dos usuários em diversos sites e aplicativos e para elaborar um perfil das atividades online de navegação e utilização de aplicativos dos usuários. As informações que as nossas redes de publicidade podem coletar incluem dados sobre as visitas dos usuários aos sites e aplicativos que participam das redes de publicidade relevantes, tais como as páginas ou anúncios visualizados e as ações realizadas nos sites ou aplicativos. Essa coleta de dados é realizada tanto em nossos Serviços quanto em sites e aplicativos de terceiros que participam das redes de publicidade. O processo também nos ajuda a monitorar a efetividade dos nossos esforços publicitários. Para aprender sobre como não participar da publicidade de rede baseada em interesses nos EUA, visite www.aboutads.info/choices e http://www.networkadvertising.org/choices​​/. Na União Europeia, visite www.youronlinechoices.eu. Os nossos serviços também oferecem suporte a determinados serviços de terceiros, incluindo botões de compartilhamento social (como, por exemplo, Facebook, Google+, Instagram, Pinterest, and Twitter), listas de tweets do Twitter e vídeos do YouTube publicados nos Serviços. Tais recursos utilizam cookies de terceiros que são inseridos diretamente no seu dispositivo por esses serviços. As práticas de privacidade dessas partes terceiras, incluindo detalhes sobre as informações que elas possam coletar a seu respeito, estão sujeitas a declarações de privacidade das mesmas, e recomendamos fortemente que você as examine. A iHerb não é responsável por essas práticas de terceiros relativas a informações. Nós não divulgamos informações pessoais que obtemos a seu respeito, salvo conforme descrito nesta Política de Privacidade. Compartilharemos as suas informações pessoais com (1) nossas subsidiárias e afiliadas e (2) provedores externos que realizem serviços em nosso favor (como processamento e autorização de pagamentos, realização de pedidos, transporte, liberação alfandegária, publicidade, análise de dados, suporte ao cliente e prevenção de fraudes) para os fins mencionados nesta Política de Privacidade. Não autorizamos nossos provedores de serviço a utilizar ou divulgar as informações, salvo quando necessário para realizar serviços em nosso favor ou cumprir exigências legais. Também podemos revelar informações sobre você: (1) se formos obrigados a fazê-lo em virtude de lei ou processo legal (como, por exemplo, ordem ou intimação judicial); (2) em resposta a pedidos de agências governamentais, como, por exemplo, autoridades responsáveis pela aplicação da lei; (3) de modo a estabelecer, exercer ou defender os nossos direitos legais; (4) quando acreditarmos que a divulgação é necessária ou apropriada para evitar danos físicos ou de outra natureza, bem como prejuízos financeiros; (5) no contexto de investigações a respeito de atividades ilegais presumidas ou reais; (6) no caso de vendermos ou transferirmos, no todo ou em parte, a nossa empresa ou os nossos patrimônios (inclusive no caso de reorganização, dissolução ou liquidação); ou (7) em qualquer outra circunstância, com o seu consentimento. Nós podemos transferir as informações pessoais que obtivermos a seu respeito a destinatários (incluindo as nossas subsidiárias e afiliadas, além de provedores de serviços externos) em países diferentes daquele onde as informações foram originalmente coletadas. É possível que esses países não tenham as mesmas leis de proteção de dados que o país onde as informações foram inicialmente fornecidas. Quando transferirmos suas informações a destinatários em outros países (como os EUA), protegeremos essas informações conforme descrito nesta Política de Privacidade. Se você estiver situado no Espaço Econômico Europeu (EEE) ou na Suíça, observaremos as exigências legais aplicáveis no que diz respeito a fornecer medidas de segurança apropriadas para transferência de informações pessoais a destinatários em países para os quais a Comissão Europeia não emitiu uma decisão adequada, como é o caso dos EUA. Essas medidas de segurança podem incluir acordos de transferência de dados, cópias dos quais podem ser obtidas entrando em contato conosco conforme indicado na seção Como entrar em contato conosco desta Política de Privacidade, ou confiança no certificado de Proteção de Privacidade na Internet de um provedor de serviços. Nós lhe oferecemos algumas escolhas quanto às informações pessoais que obtemos a seu respeito. Por exemplo, se você criou uma conta conosco, é possível modificar as suas preferências de comunicação acessando a sua conta e clicando em "Preferências de Comunicação". De acordo com os termos previstos pela legislação vigente, você também pode opor-se ao uso de suas informações pessoais para fins de publicidade direta e cancelar a sua inscrição das nossas listas de correspondência publicitária usando o link "Cancelar a inscrição" disponível em nossos e-mails ou entrando em contato conosco conforme especificado na seção Como entrar em contato conosco abaixo. Nós aplicaremos as suas preferências daí em diante. De acordo com os termos previstos pela legislação vigente, você pode: (1) solicitar acesso às informações pessoais que mantivermos a seu respeito; (2) solicitar a atualização, correção, alteração ou eliminação das suas informações; ou (3) solicitar a restrição de nosso uso das suas informações pessoais entrando em contato conosco conforme especificado na seção Como entrar em contato conosco abaixo. Se estiver situado no EEE, de acordo com os termos previstos pela legislação vigente, você também pode opor-se ao uso das suas informações pessoais em determinadas situações nas quais usamos essas informações com base em nossos interesses legítimos, conforme descrito acima. Além disso, de acordo com os termos previstos pela legislação vigente, você pode receber, em um formato estruturado, comumente utilizado e passível de leitura ótica, as informações pessoais que forneceu a nós com base em seu consentimento ou em um contrato de que você seja parte. Você tem o direito de fazer com que essas informações sejam transmitidas a outra empresa na medida em que isso for tecnicamente viável. Para exercer esses direitos, entre em contato conosco conforme especificado na seção Como entrar em contato conosco abaixo. Dependendo da sua localização, é possível que você tenha o direito de apresentar uma queixa junto à autoridade reguladora responsável pela privacidade caso não esteja satisfeito com a nossa resposta. Dentro dos limites impostos pelas leis da Califórnia, os habitantes da Califórnia podem nos solicitar a apresentação de: (1) uma lista de determinadas categorias de informações pessoais que tenhamos divulgado a partes terceiras para fins de publicidade direta no ano civil imediatamente anterior e (2) a identidade dessas partes terceiras. Para fazer essa solicitação, os habitantes da Califórnia podem entrar em contato conosco conforme especificado na seção Como entrar em contato conosco abaixo. Os nossos Serviços podem fornecer links a outros serviços online e sites para sua conveniência e informação, e podem incluir funcionalidades de terceiros, como aplicativos, ferramentas, widgets e plugins (e.g., Facebook, Google+, Instagram, LinkedIn, Pinterest, Twitter, and YouTube). Esses serviços, sites e funcionalidades de terceiros podem operar independentemente de nós. As práticas dessas partes terceiras relacionadas à privacidade, incluindo detalhes sobre as informações que eles possam coletar a seu respeito, estão sujeitas às declarações de privacidade dessas partes, e nós recomendamos fortemente que você as examine. Na medida em que um serviço online vinculado ou funcionalidade de parte terceira não seja possuído ou controlado por nós, a IHerb não é responsável pelas práticas de terceiros relacionadas a informações. De acordo com os termos exigidos pela legislação vigente, nós reteremos as suas informações pessoais durante todo o período de duração do nosso relacionamento, acrescido de um período razoável em cumprimento ao estatuto aplicável de limitações ou conforme exigido pela legislação vigente. Nós empregamos medidas de segurança administrativas, técnicas e físicas destinadas a proteger as informações pessoais que obtemos por meio dos Serviços contra destruição, perda, alteração, acesso, divulgação ou uso acidental, ilegal ou não autorizado. Os Serviços destinam-se ao público geral e não são orientados a crianças menores 16 anos de idade. A iHerb não coleta ou solicita intencionalmente informações pessoais de crianças com menos de 16 anos de idade por meio dos Serviços. Caso sejamos informados de que coletamos informações pessoais de uma criança com menos de 16 anos de idade, nós eliminaremos imediatamente essas informações dos nossos registros. Se você supõe que uma criança com menos de 16 anos de idade possa nos ter fornecido informações pessoais, entre em contato conosco conforme especificado na seção Como entrar em contato conosco desta Política de Privacidade. Esta política de privacidade pode ser atualizada periodicamente e sem aviso prévio de modo a refletir alterações em nossas práticas relacionadas a informações pessoais. Nós indicaremos a data mais recente de atualização no topo da Política de Privacidade. A entidade responsável pelo processamento das suas informações pessoais no EEE é a iHerb, Inc. I have been working as full-time translator in various freelance projects since February 2013. Much of this work was done through online platforms, and I currently hold a Platinum Badge at One Hour Translation, having translated over 1,300 projects, proofread/edited over 500 projects, and peer-reviewed numerous other projects for that company. During this time, my work experience has been centered on the education sector as well as health and tourism businesses, but I also concluded a diverse range of other projects that include the translation of offshore workers' CVs, subtitles for feature films, and several legal agreements and contracts.